Wine Blogging Wednesday #70: Celebrate with Spanish Sherry, Garnacha & Cava! 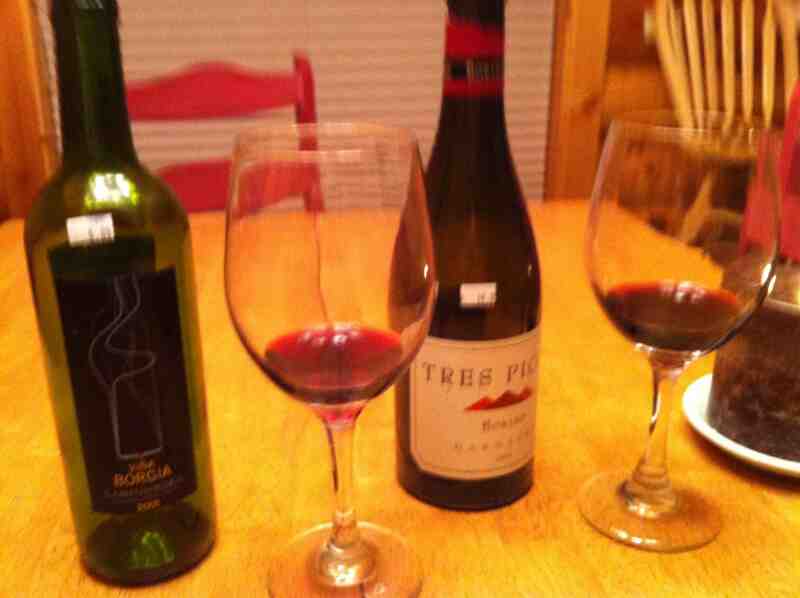 For over five years, each month wine bloggers gathered around a virtual fire to discuss a wine related theme or prompt. For a number of reasons, about a year ago Wine Blogging Wednesday waned and fell by the virtual wayside. But some of us blew on the embers (by some tweets, blog posts, and other social media means), and lo and behold, Lenn Thompson of the New York Cork Report got the fire going once again! This month Wine Blogging Wednesday #70 comes to you from Ryan and Gabriella Opaz of the award winning blog catavino.net. Their prompt, not surprisingly from bloggers who specialize in wines from Iberia, is to blog about a Spanish wine today, Wednesday February 16 and to let them know about it! 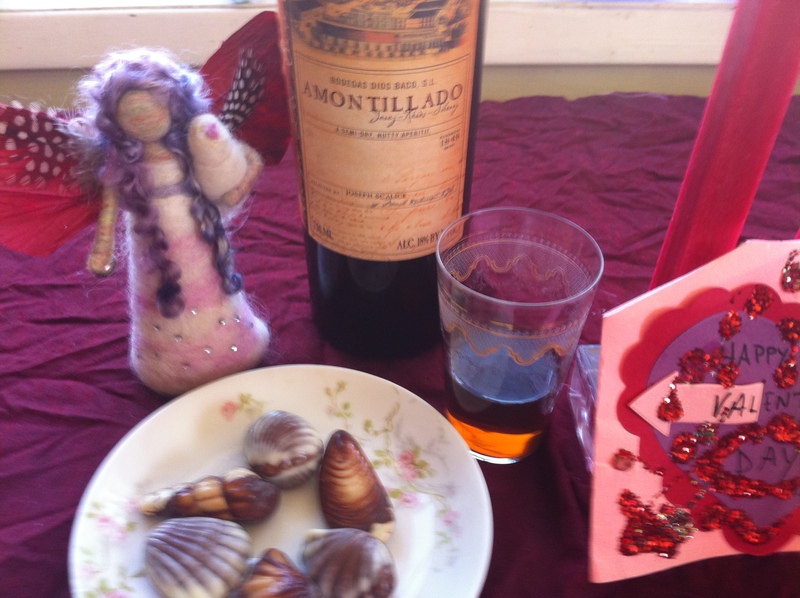 On Monday February 7, I wrote about a Spanish Amontillado sherry for the Secret Sherry Society which I paired with Belgian chocolates and which was hard enough to find! I found it equally difficult to find any obscure Spanish varietals that would allow me to an obvious way to get creative. Instead, I went to the Ventura Wine Company, which, while lacking much of a selection of unusual Spanish varietals, did offer a few of one of my favorites. I settled with choosing a varietal I love grenache, or, as it’s known in Spain, garnacha, and tried two versions of it, a Vina Borgia Campo de Borja 2009 which retails between $6-10 and a Tres Picos Borsao 2008 which can be found from $15-20. I brought them up to a friend’s cabin in the snow and opened them up to share with some crackers, bread and cheese while we fixed a dinner of meat sauce and pasta after skiing all day. While we liked the fresh red fruit character and lively spice of both wines, we were surprised at how good the $6 wine was. No wonder Nick at the Ventura Wine Company says this wine is one of the best values in the store! We agreed that the Vina Borgia is a pretty red rose petal color with lots of red fruit especially cranberry and raspberry and no apparent oak. At 14% alcohol, it had good structure and balance, but possibly a bit tart for some palates. 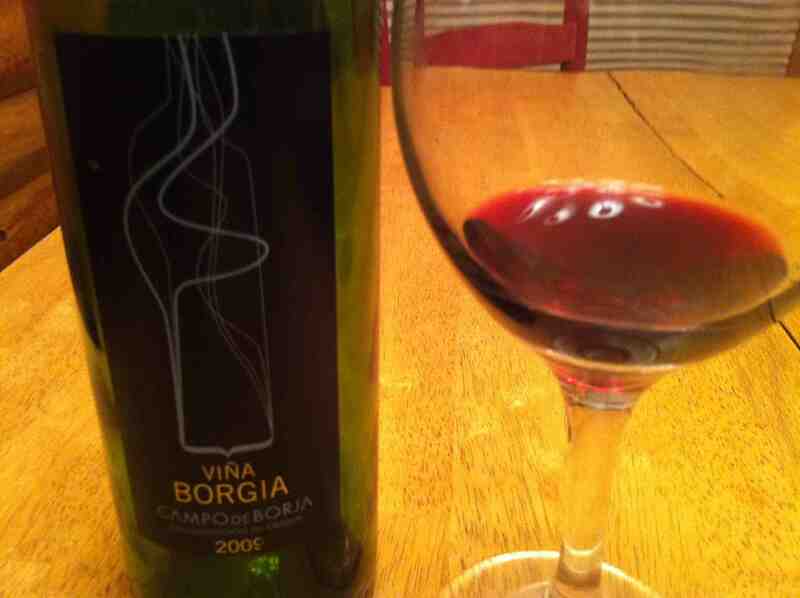 We thought it was a playful spunky wine and an impressive value. 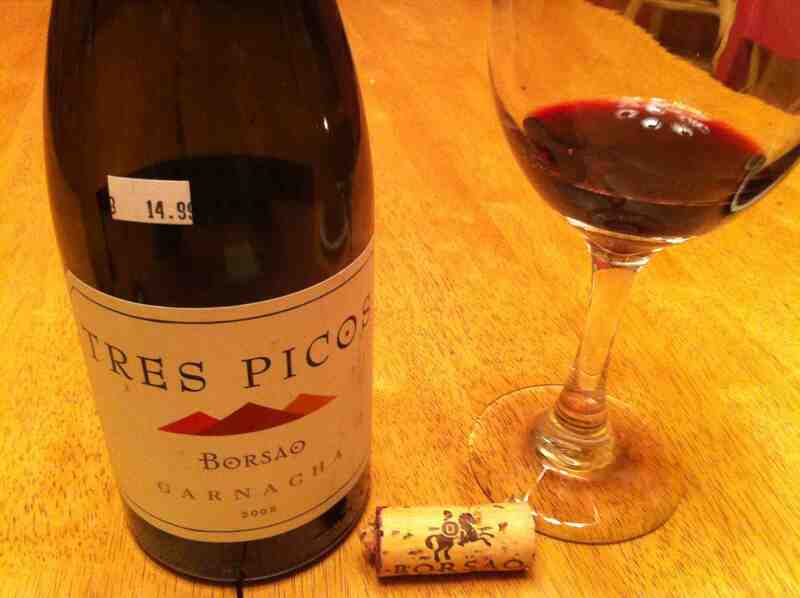 As might be expected for a wine at more than twice the price, we found the Tres Picos 2008 Garnacha ($15) more complex, smoother, richer, and with a longer finish. It was very fragrant of floral, fruit, and earth with more raspberry, strawberry, red plum, and a hint of leather as well as caramel. The spice was floral, like a carnation or cecil bruner rose. I also brought up a bottle of Albero Cava Brut in case we got into a celebratory, bubbly kind of mood. I chose this one because I’d had it before with friends and we’d been amazed at the quality for the price: it’s under $10. I selected it also because my friends are very “green” and this cava is made from organically grown grapes. But we never got around to opening it so I don’t have any more complete tasting notes than this! Fabulous post!! Very pleased you not only did a taste test between to different Garnachas, but that you threw a random Cava in there as well 🙂 Thanks! Oh and sherry too! A little bit of everything Spanish to love! Thanks for hosting–I look forward to reading your round-up!